How to Apply Defy Extreme Stains? We love hearing from our customers who have used the Defy Extreme Stains or have questions. We appreciate your input, so feel free to leave a comment below and pictures of your completed projects if you have them. d UV damage. Its VOC compliant water-based formula contains “oxide” based Nano Particles. Over 30 trillion particles per square inch provide outstanding protection. 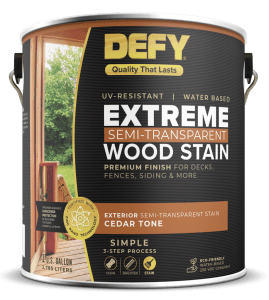 Defy Extreme Wood and Deck Stain is used for interior and exterior wood surfaces such as wood siding, log homes, decks, fences, gazebos, wood shakes, and outdoor furniture. Good on pressure treated and all other natural wood surfaces. Allow pressure treated lumber to dry out for 3-6 months prior to application. 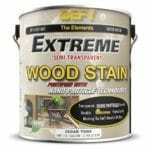 Do not apply Defy Extreme Exterior Wood Stain over existing stains or paints. Strip any old stains with Defy Exterior Wood Stain Stripper. Clean wood surfaces using Defy Wood Cleaner when no old stain is present to remove any mill glaze, dirt, soils, mildew, and graying. Apply either Defy Stain Stripper or Defy Wood Cleaner using a pump up sprayer. Clean the wood surface with a brush or lightly wash with a pressure washer. Rinse the surface well. The wood will appear dark as a result of cleaning. To brighten the wood and open the wood pores for better stain penetration, apply Defy Wood Brightener while the surface is still wet again using a pump sprayer. Rinse well. Permit the wood to dry for approximately 48 hours before continuing. Do an absorption test on the wood by sprinkling a few drops of water on the surface. The wood should absorb the drops immediately if not, do not apply the stain. The wood may not be dry or porous enough to accept the stain correctly. Test a small area before staining to assure desired results. Stir or shake contents prior and occasionally during use. Do not thin Defy Extreme Stain. Surface and air temperatures should be between 45-95 degrees for staining. Avoid applying Defy Extreme in direct sunlight. Cover non-targeted surfaces such as plants, siding, concrete, windows, etc using plastic, tarps, or drop cloths. Use only high-quality polyester or nylon brushes. You can also use rollers, stain pads, pump up or airless sprayer for application. Back brush when spraying to ensure a more even appearance. Start on deck railings first. Do not over apply Defy Extreme Deck Stain. Work out excess drips, runs, or puddles before the stain is allowed to dry. Start on the bottom of vertical surfaces and work up. Do not stop staining in the middle of a board or this may cause color variations and lap marks. Stain entire board from end to end or to a natural break in the surface before stopping. On porous and pressure treated woods two coats of Defy Extreme Stain can be applied. Best to wait for a minimum of 20 minutes between coats and do not allow the first coat to dry before a second coat application. Avoid an unwanted shiny appearance and peeling issues by only applying as much Deft Extreme Deck Stain as the wood can absorb. Coverage: When applying two coats, Defy Extreme will cover 100-150 sq. ft. per gallon depending on wood texture and porosity. Clean-Up: Clean tools and equipment directly after use with soap and water. Dry Time: 2-4 hours to touch and 24 hours before use. Drying times will vary depending on temperature and humidity. Maintenance: Occasional cleaning with mild detergent and water is recommended. Defy Extreme Wood Stain should be recoated within 24 months, or when graying begins to appear. Brighten with Defy Wood Brightener after washing and before recoating with Defy Extreme Stain. I’m using this to redo wood deck chairs. I’ve sanded them down to the natural oak wood. Do I need to use a cleaner or wood conditioner before applying the stain? Also, since the chairs will be in south-facing direct hot sun at 8,000 feet in Colorado, should I put a coat of polyurethane over the stain to protect it further? Thank you. Yes on cleaner and brightener for the prep before applying. You cannot apply a poly over the Defy. The polyurethane would peel. I stripped Behr solid stain from my 7 year old redwood deck with your stripper. A lot of paint remains so I’ve had to sand. Do I need to reapply the brightener before applying the stain? Should I use two coats of stain wet on wet on redwood? If it rains before I get the stain on do I need to take additional steps? Thanks. Yes, apply the brightener after all of the Behr is removed. Apply the two coats wet on wet. Rain will not harm the prep, just let the wood dry before staining. The Clear requires annual cleaning and resealing. It does not lessen the graying with repeated applications. I used Defy stain on the cedar siding of my house. Some stain got under the tarps and on some of my windows. Any suggestions for a product to remove the stain from glass? Window cleaner is not working. A water-based graffiti remover should work. You can get them in the paint aisle. I am about to clean, brighten and stain my 12’x75’ deck. During this time we are having a new dock installed. That wood is treated lumber designed for docks. I would like to stain it to match my deck, after it has weathered. Can you use Defy stain on dock wood? Thanks! Going to use Defy Extreme to stain a new redwood deck. What is the recommended waiting time to let the wood age before staining? Will use your brand cleaner and then brightener before staining. Then one coat or two for the first staining? Thanks! I have a composite deck that is 5 years old. We have pressure washed it every year and is now looking faded and worn. Can I use Defy Extreme on my composite deck? The Defy Extreme Stain is not designed for composite decking. I didn’t know how to edit my previous question, but I wanted you to know that I power washed the deck and then applied your brightner. I am going to stain a 7 month old deck tomorrow, I have EMT conduit in the railing, should I mask this all? Will it get discolored? Also, what size tip should I use with an airless sprayer? Best to mask fully first or wipe off any stain immediately if it gets on it. Sorry but not sure on the tip size. Wider fans tips are easier. The sprayers, be they pump or electric, clog quite quickly. Can I thin your semi transparent stain with a latex plaint thinner without affecting the quality of your product? You cannot thin the Defy Stains. It is not needed. They are already thin and spray without issues. Ok. But what if a latex paint thinner was added to a five gallon tub of Defy Extreme. Was the efficacy of the sealing nanotechnology qualities of your product diminished or destroyed by the addition of that thinner? How long can you go (hours/days) after applying Defy Wood Brightener until I apply Defy Extreme Stain? Stain within 10 days after the prep. Can you use a dip method for applying to large surfaces prior to install, vs. paint or spray? We just put one coat of Extreme clear on new cedar deck. (We waited 3 months and sanded prior to applying DEFY) It is now rough to the touch as If it would need to be sanded. Normal? Should we sand lightly and apply a second coat? Leave as is. Light recoat this next year if needed. Using the “wet on wet” process, if the second coat does not completely soak in, should it be wiped off like interior stain or just left to dry? Sounds like dried “shinny” spots could be an issue over time? Can I apply a second coat on my deck in about a month? It did not bead when it rained. No. Wait until Spring and prep first with the Defy Wood Cleaner. Doing it now and it will not soak in correctly. Defy extreme for log home. I am hoping that I only need one coat of Defy. I received the samples and loved the colors. But if I need to do 2 coats it will be too much work. There is another brand of stain that I also like and only need one coat. Two coats applied wet on wet is the correct way to apply for max UV protection and performance. On a cedar log home how long will defy last before we have to recoat. Live in Minnesota. About 4-8 years, depending on the UV exposure. Just use the cleaner, no need for the brightener this time. I’m stripping last year’s Olympic stain from my cedar deck. After I strip the old stain using Defy stripper is there anything else I need to do before applying Defy stain for cedar and hardwoods? Just brighten with the Defy Brightener after the stripping. 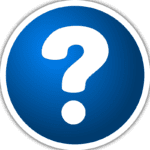 Do I need to protect galvanized steel hardware while applying stain to surrounding wood? I am considering using defy extreme on outside of planters made from oak wine barrels, so there are metal bands. Any advice? Wipe off the bands if any of the Defy gets on them prior to the Defy drying. I am staining an older cedar fence. I’ve powerwashed and used the Defy wood cleaner all ready. Fence looks almost like new. The salesperson told me when applying the Defy stain, I need to apply two coats. First brush one coat on the fence, and then go back over it after a few minutes with a second coat. Is this correct? Is there a difference between Defy hardwood and Defy Extreme? I am installing new thermally treated hardwood (ash or Gum) siding. I will be applying a clear stain. Which stain should be used? Next, please, do I have to strip before re-coating with maintenance coats? I will maintain every two or three years, but I definitely do not want to strip the house and reapply – ever – if possible. What happens after 10 years of reapplications? Nothing or does it get a thick appearance? You can clean and brighten the wood when reapplying. 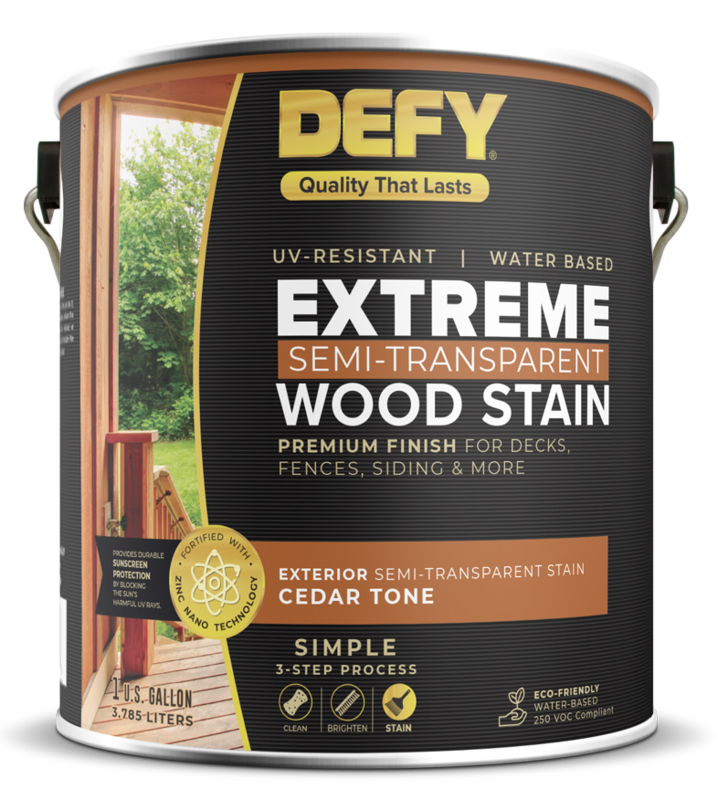 Use the Defy Extreme for the siding. Rough Sewn Ccedar was stripped and then stained vertically with one coat of Defy Extreme. Down the road can you clean and then place another coat of Defy Extreme. Yes you can clean and reapply down the road. How many coats of Defy Extreme on the railings -one or two? Two on the horizontal parts, one on the verticals are usually enough. I have a small area that is very difficult to reach. Can Defy Stain Stripper be applied with a roller rather than a pump up sprayer? Yes it can be applied with a brush or roller. Surface and air temperatures must be 45 degrees minimum for staining. Does that mean for the full 24 hours afterward too? How cold can it get the next night (what if I apply when it’s 50-60 degrees outside but the forecast early the next morning has a low of 35), and will morning dew damage a stain put on the day before? How many days should there be no rain after applying the stain? It can drop below the 45 at night after staining but it should not drop below freezing. it can take dew or water after 12 hours. What is an example of a “mild detergent” for maintenance cleaning? Thank you! Soapy water will work. TSP or dish soap. I have a 6 month old cedar deck and just applied the cleaner and brightener yesterday. I noticed this morning there are some areas where a light film developed abnd it looks like the wood is pealing. Is this normal? Is it safe to stain over this? It might be raised wood grain from removing the oxidized (gray) wood cells when cleaning. Typically this goes away when stained and is not noticeable. You can lighly “buff” this off with a sanding pad. Not paper but pad. First stain on nine month old deck. Two coats or one. One coat the first time. Make sure to prep first with the Defy Wood Cleaner.